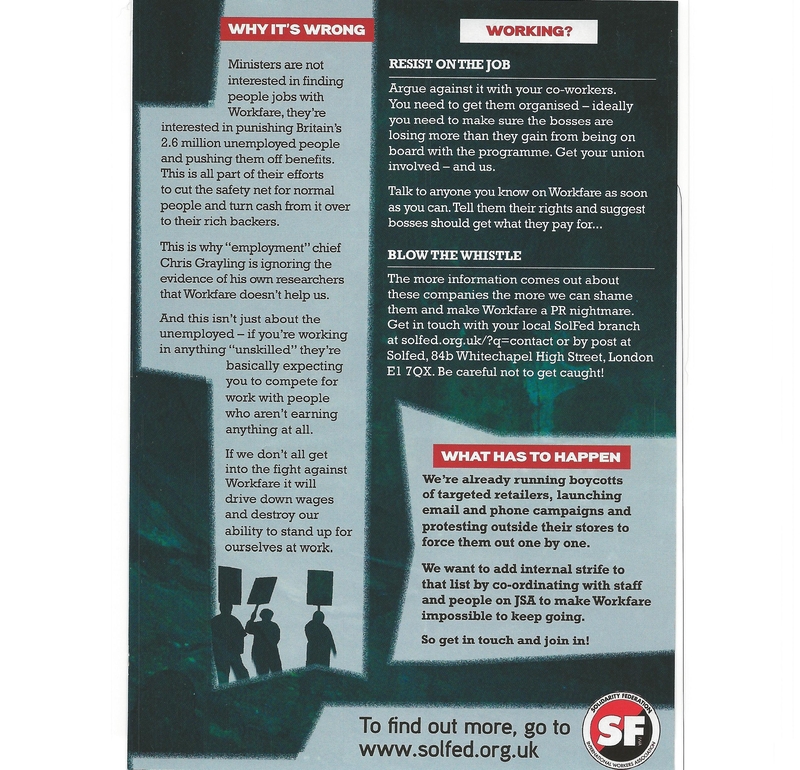 Solfed generic flyer 2 sided A5 – Created for libdem conference action. 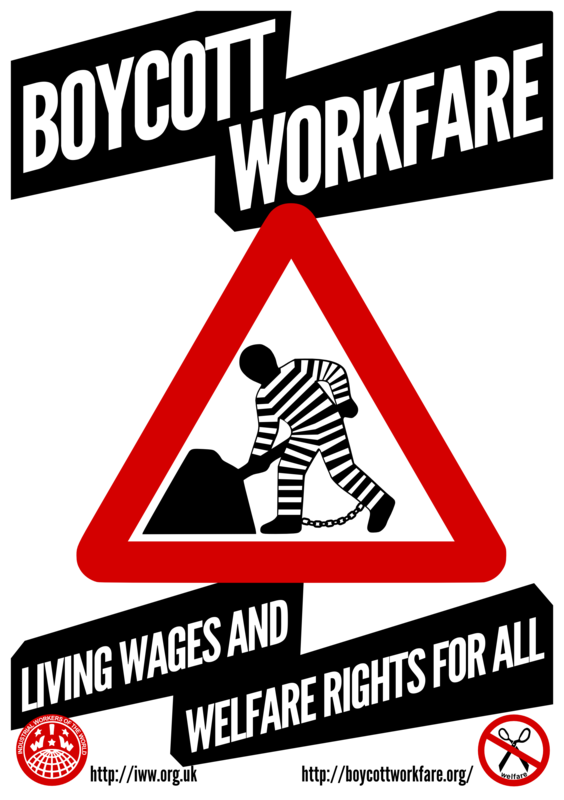 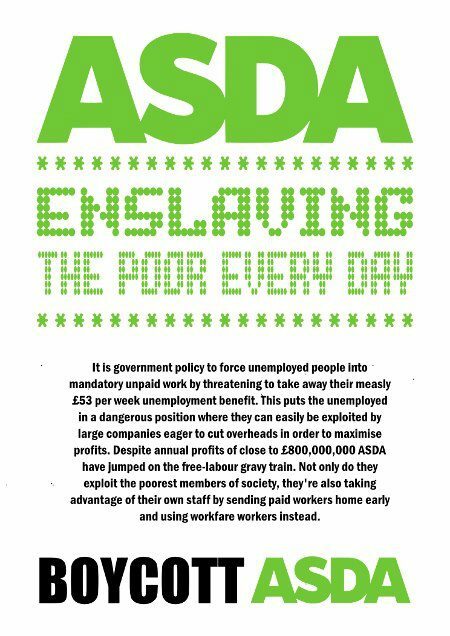 Boycott Workfare Workfare and you pdf – For Jobcentres. 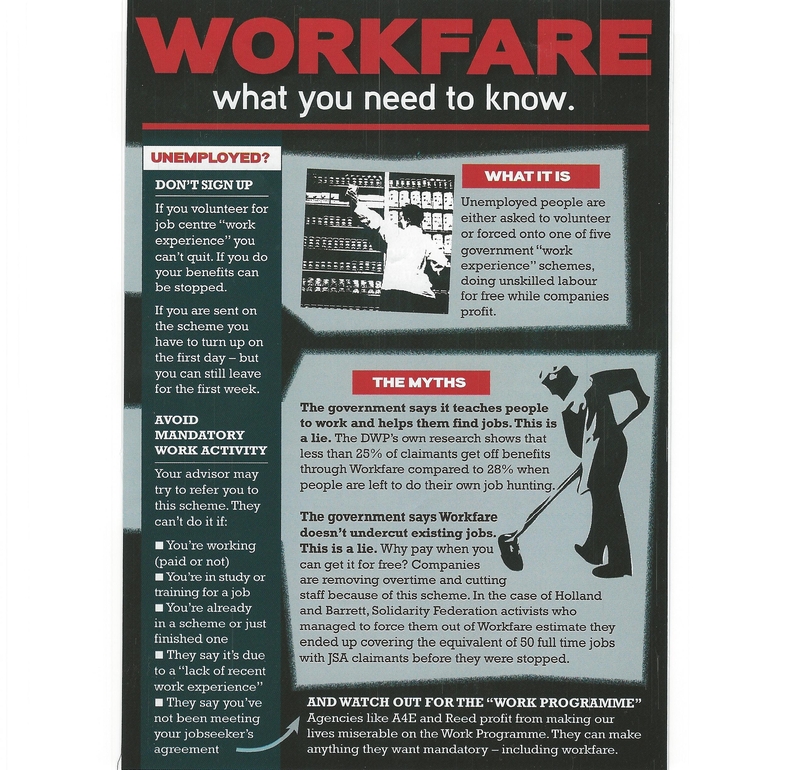 BPACC Workfare and you pdf – For Jobcentres. 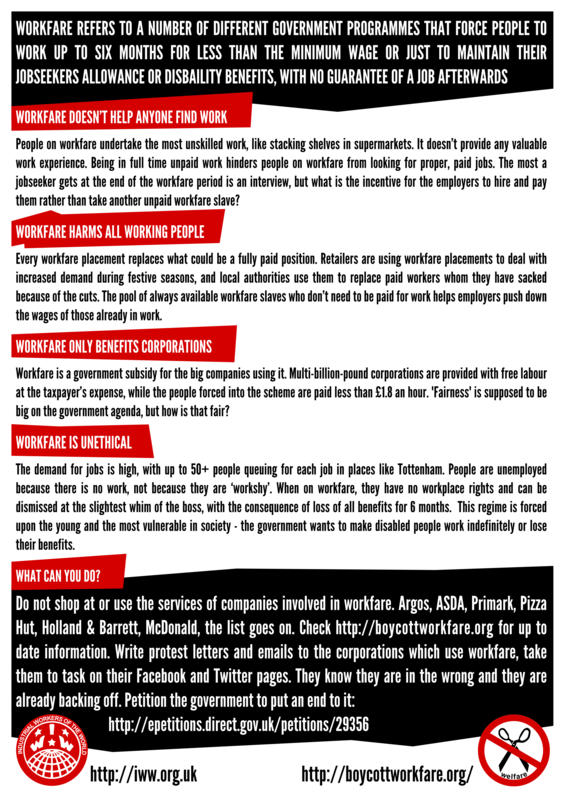 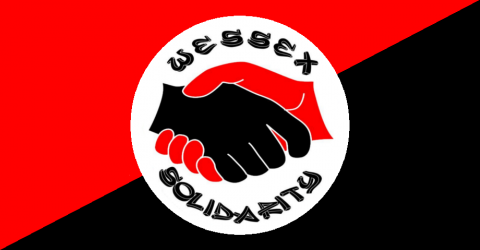 Solent Solfed Workfare and you doc – For Jobcentres. 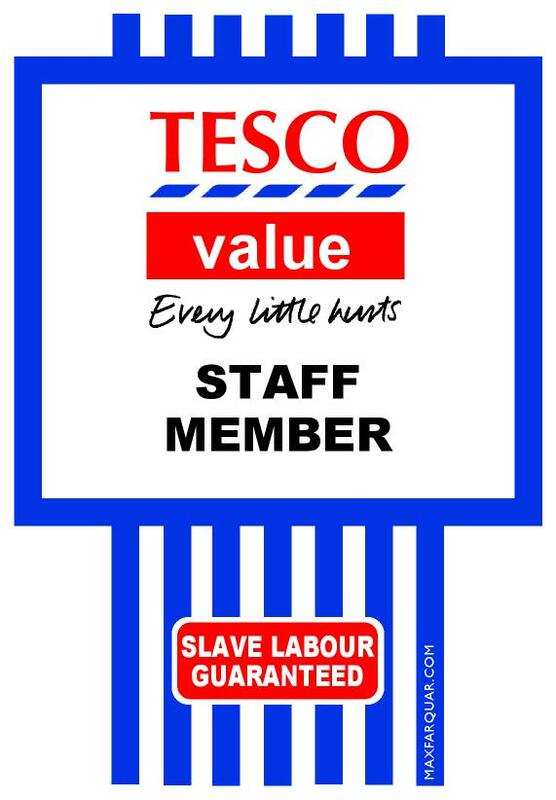 The SF ones with H&B specific page – could print A4 or A5 double sided perhaps.